I know we forget to appreciate you, a lot. We neglect the beautiful things about you, we forget to take care of you and the fact that we are guests in your home seem to slip our minds a lot. There are a lot of amazing things that you give us…but my favorite? I love the rain. 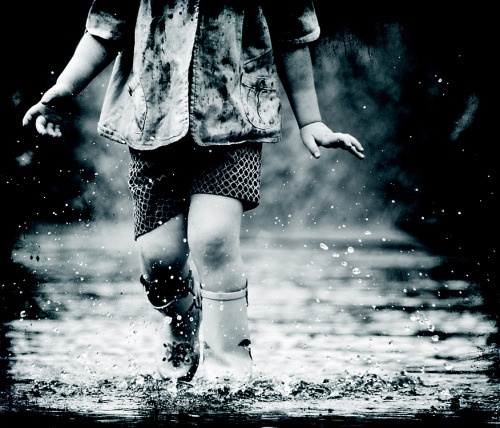 I love the summer rain…I love the sudden downpour that drenches me to the core and refreshes my soul. I love listening to the rain beating against my window…and even though rain sometimes brings me bad memories, it always leaves me feeling refreshed. I can feel you crying Mother Earth and I’m sorry that we forget how much we need you. But please don’t give up on us. And most of all…don’t stop the rain. Oh and keep singing to us with your beautiful thunder. Because we all need a little cleansing of the soul now and then. I miss rain… we haven’t gotten any in Corpus this summer. I need the cleansing it gives me. I think I’m going to run up to Houston, they keep getting doused. I never forget Mother Earth and how much we need her, but I can’t believe how many people do. Take the time to find places people don’t go an experience her at her finest. I know…so many people forget. That’s the saddest comic strip I’ve ever seen 🙁 I’ve always been a tree-hugger so it really speaks to me. It’s been raining here too…I love it. .-= Taylor´s last blog ..It Was Mostly Good! =-. It rained today. I <3 the rain so much. .-= LivingWicked´s last blog ..Tuesday’s Great and Wednesday Too =-. .-= Caroline´s last blog ..WTE Blog Posts =-. I feel the same way about the snow. Except in March when I’m still shoveling my driveway ever day. Then I pray for rain. I love a warm summer rain. And watching thunderstorms through my window while curled up in bed. .-= Liebchen´s last blog ..A little touch of the crazy =-. Aw. Summer rain is really the only rain I like, even though I know it’s healthy for the Earth. .-= Jaime | Fast Times´s last blog ..All I do is eat. =-. .-= Alice´s last blog ..TMI Thursday – thanks, textsfromlastnight.com! =-. You said this so very well, and it’s something I was just thinking an hour ago as I walked my dog in the backyard, noticing that the giant tree that shades my entire space is already beginning to wilt and die for the fall. We need more rain here in NC, too. And there’s nothing better than falling asleep to the patter of rain and the occasional thunder clap. Seriously nothing better. we haven’t gotten any rain yet, today. i thought we were supposed to get thunderstorms all afternoon and night. me = disappointed. .-= f.B´s last blog ..soon, it’ll all be over =-. LOVE LOVE LOVE that photograph! Where did you get it? would love to know who the photographer is. .-= Paula´s last blog ..AND EVEN MORE SPAMMING . . . =-. I had this incredibly toxic friend once and it was freaking awful. Our breakup took like 2 years. Clearly, I should have been reading your blog then, because I certainly needed the advice. .-= Jill Pilgrim´s last blog ..Most Humiliating Post Ever, Also Come Look At What I Did =-.